During the school year it can be challenging to ensure the kids are getting the nutrition they need, especially after school. That time from when they get home to when dinner is on the table can be a time when the snack monster takes over and they will eat anything in sight. I’ve long since quit trying to count the number of times the boys sneaked a bag of chips or a box of snack crackers out of the kitchen and ate them only to be full when dinner time came. 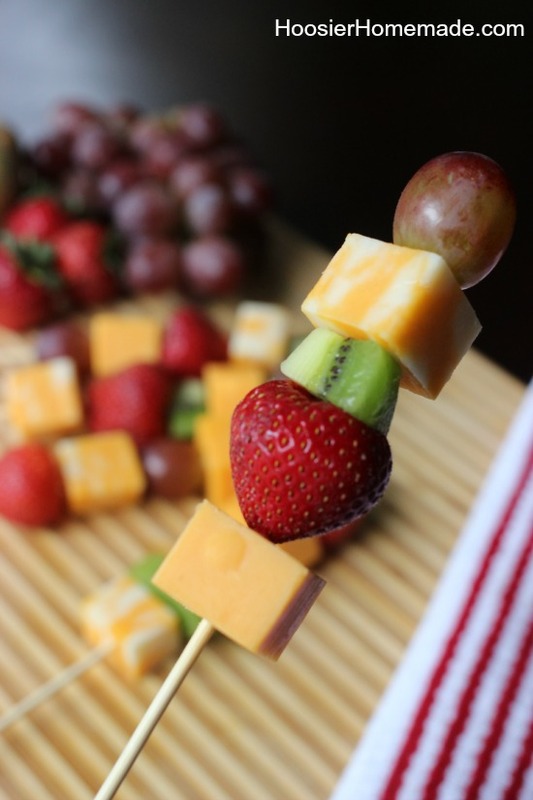 We learned long ago that kids will eat whatever is most convenient at the time, if they can just grab and go they will eat healthy and tasty selections. Now they will still ocassionally pick chips and salty snacks some of the time but they will surprise you more often than not and grab a handful of nuts or fruit and our sons just love to snack on cheese. 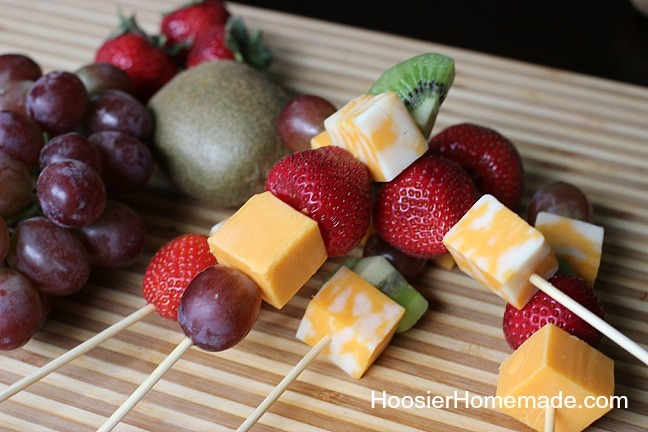 But even as teenagers they still like to have their food cut up for them so we still will make some Fruit & Cheese Kabobs when we are heading out to the beach or the park. It makes it so much more convenient to eat and is a great way to supplement their diet and give them a variety of choices. There really isn’t a standard recipe for these, we’ll change them up depending on what we have in the refrigerator and what fruit is in season. We even switch out the types of cheese depending on what we have a taste for that day. 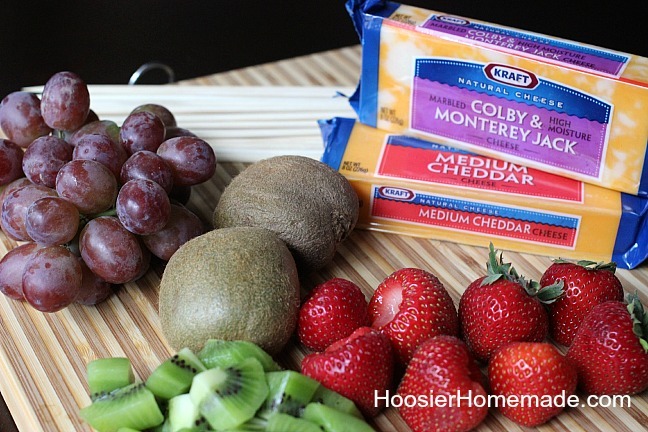 Our everyday standby is Colby & Monterey Jack paired with a Medium Cheddar. And when we are feeling a little adventurous we’ll throw on some Jalapeno Jack. That is when Doug or the boys haven’t eaten the Kraft cheese the night before, which is fine, because at least I know they are at least snacking on something that is good and nutritious. Did you know that Kraft cheese is Target’s Weekly WOW Deal the week of 9/14 thru 9/20 buy any 5 Kraft Cheese products for $10. So make sure to stop by your local Target and pick up your favorite variety of Kraft Cheeses for snacking and meals for the family. Disclaimer: This is a sponsored conversation written by me on behalf of Kraft. The opinions and text are all mine.